Although often overlooked (as is most of the times the beautiful Lombardy region), Milan is well worth spending a few days. 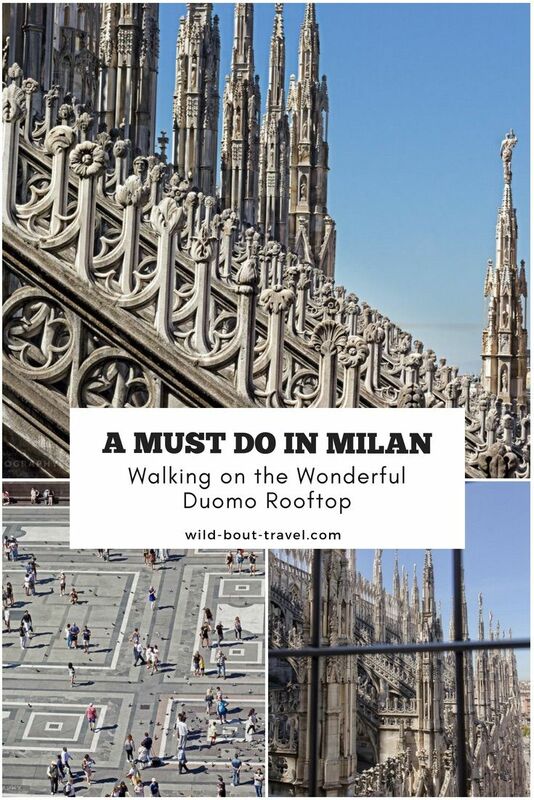 There are countless reasons to visit Milan, but if you happen to be there for just a few hours and only have time for one thing, a must do in Milan is, without doubt, walking on the Duomo rooftop and visit the Cathedral, which is the most famous landmark of the city. 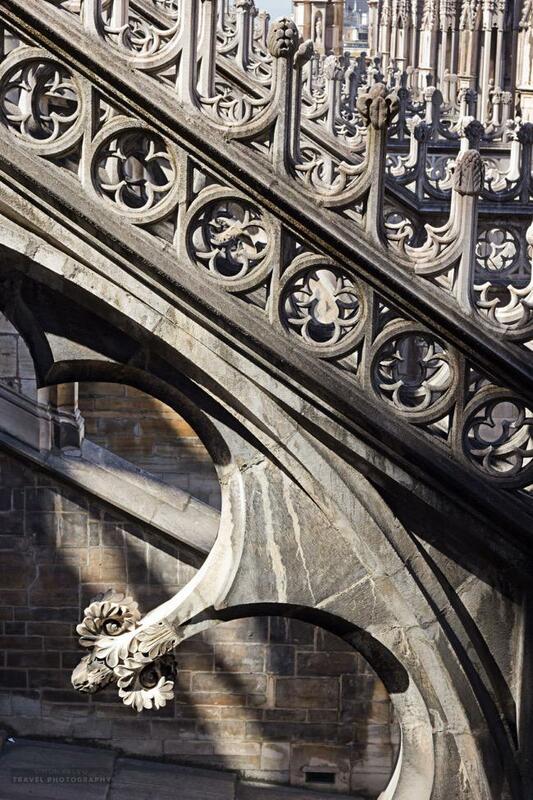 It took centuries to build Milan’s iconic landmark and a cathedral which is absolutely unique. The construction Milan Duomo started in the late 1300s and it took almost 600 years to complete what became a behemoth cathedral, the largest in Italy and the third in the world in terms of surface (if you wonder which is the largest cathedral in the world, it’s St. Peter’s Basilica in Rome/Vatican City). 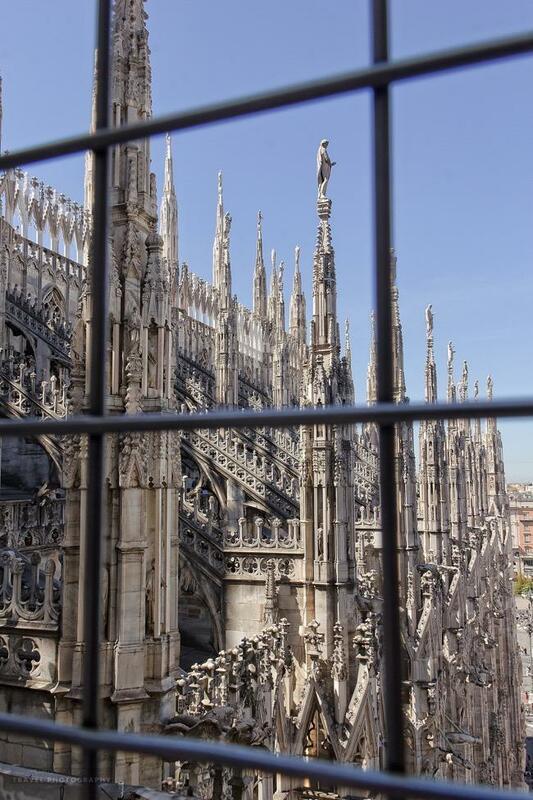 Mark Twain visited Milan in 1867 and later described his awe in front of the Duomo in Innocents Abroad. Living in Milan, I’ve seen the Duomo more times than I can recall. It doesn’t matter. Every time I approach, I feel a tingle of excitement and amazement while I look at the forest of spires that seem to touch the sky. And the cathedral is so rich in decorations that I can always spot a new detail I had missed before. 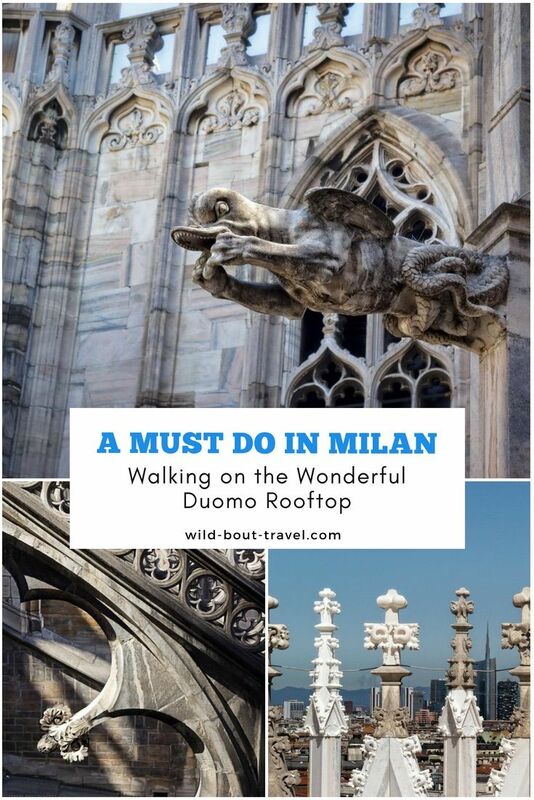 So, if you ask me what you should see in Milan if you have time for only one landmark, this has to be walking on the Milan Duomo rooftop and visit the imposing Cathedral. The interior of the Milan cathedral stands in strong contrast with the facade exterior, with its light marble and soft shades of pink, orange, and blue, gives place to the 5 naves, the 52 pillars carved in dark stone, and the stunning floor, with its design in black, pink, and white marble. The light is dim inside the Duomo, filtered by the magnificent stained glass windows with stories from the Old and New Testament. 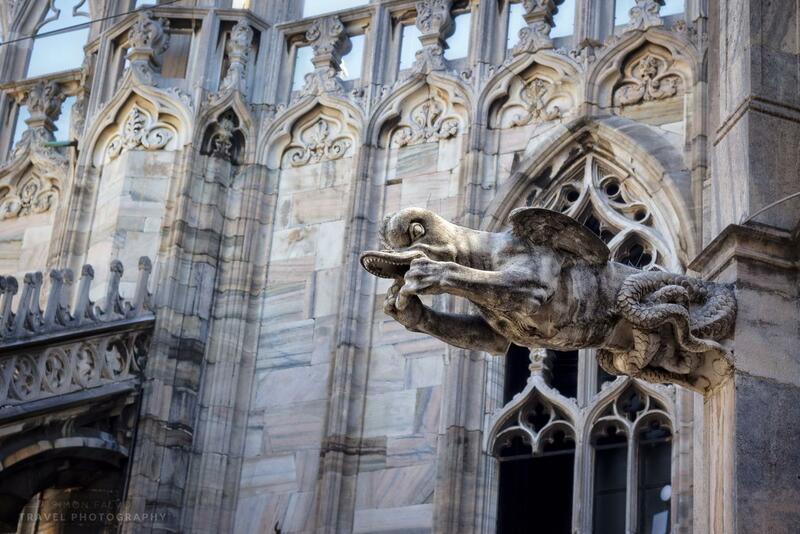 Walk on the Duomo rooftop for a close encounter with spires, statues, carvings, and gargoyles. 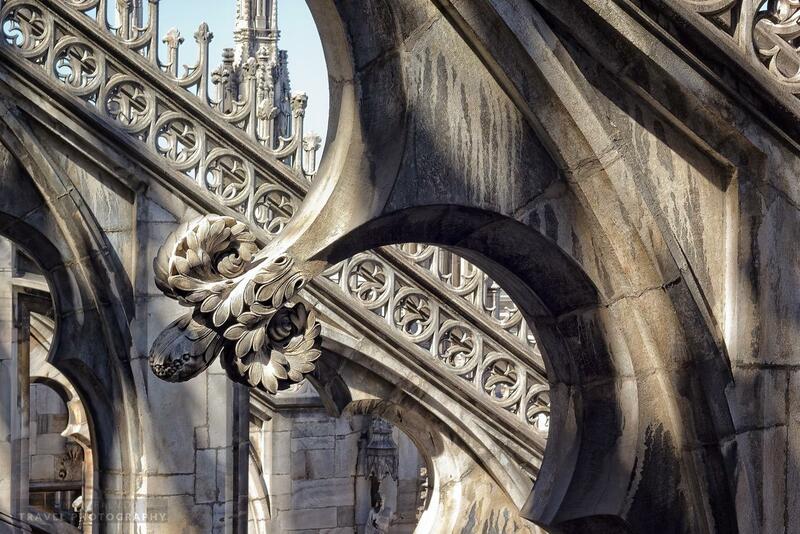 Walking on the Cathedral rooftop is exhilarating, and lets you see many things from a different perspective. The close encounter with the beautiful carvings is simply awe-inspiring and surrounded by pinnacles it seems like walking through a forest of delicate marble. One statue towers over the spires and 3400 sculptures decorating the Duomo: the golden Madonna (Madunina in Milanese dialect), the symbol of Milan. 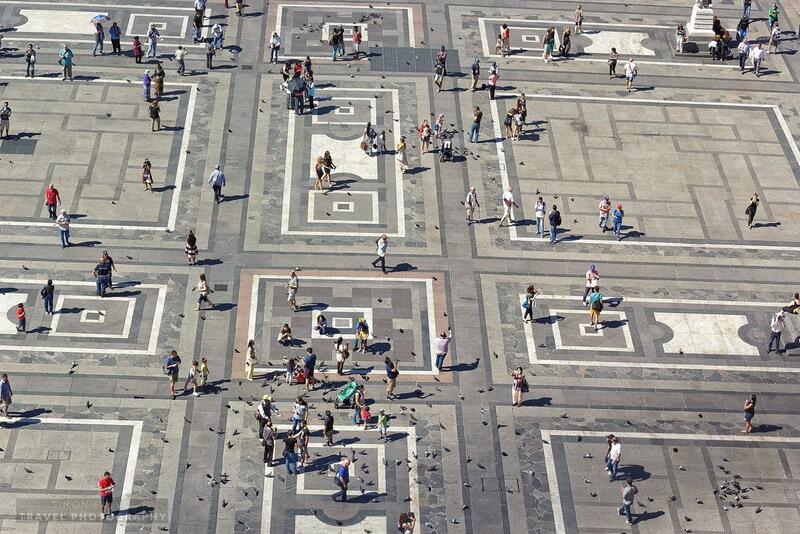 From above, the perspective on the large square – Piazza del Duomo – and the beautiful geometric decorations of the pavement is stunning. 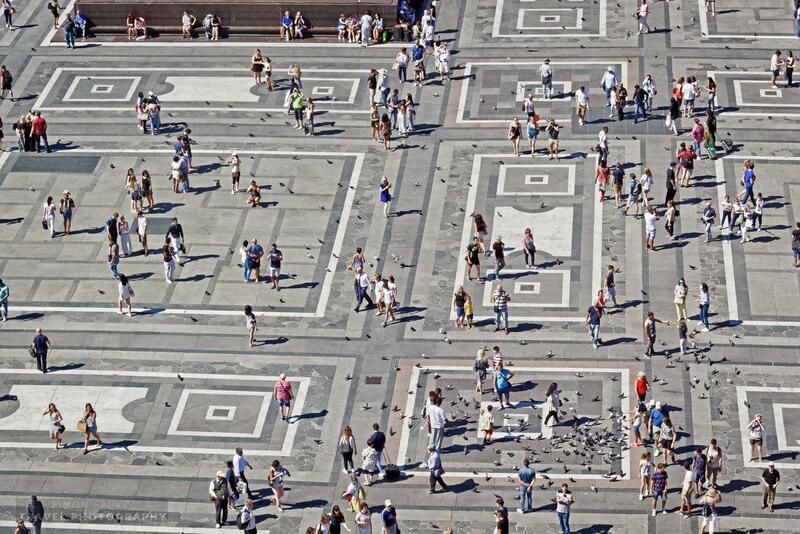 The people crowding the Piazza at any time of the day and night like small ants walking around. Most are tourists, roaming at a slow pace, stopping to take pictures, sitting on the stairs, or waiting for the pigeons to fly. If you look a little longer, though, you’ll also spot the locals, including many business people walking fast (the Stock Market and the financial district is right behind the corner), barely looking at the beauty surrounding them. The design of the square and the style of most of the magnificent buildings surrounding the cathedral date back to the second half of the 19th century, including the famous Galleria Vittorio Emanuele and its magnificent glass-vaulted arcades. 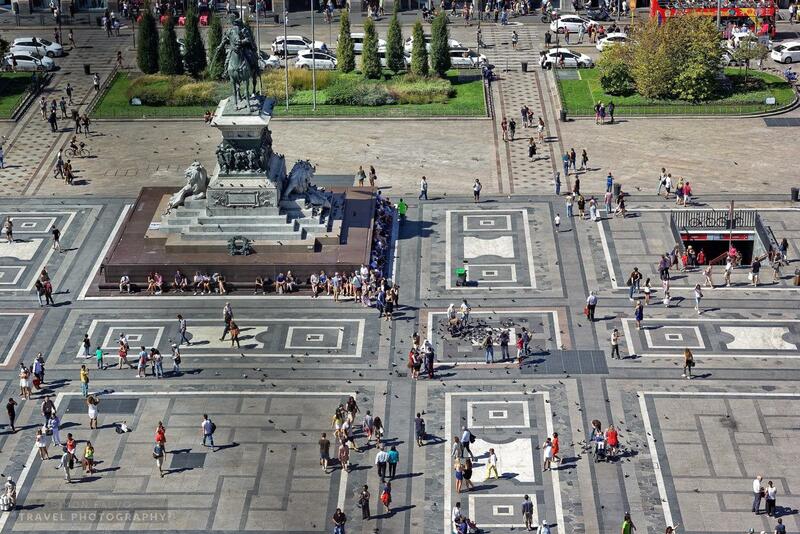 Italy is not short of beautiful squares, and Milan Piazza del Duomo is certainly one of the most impressive. If you are lucky enough to visit on a sunny and windy day usually bringing a bright sky, you’ll be able to see the Alps and the snow capped peaks. So yes, a must do in Milan is visiting the Cathedral and having a walk on the Duomo terraces, better a little before sunset, when the marble gets shaded in orange and pink. You haven’t seen the “fashion capital” if you don’t visit its most famous landmark. 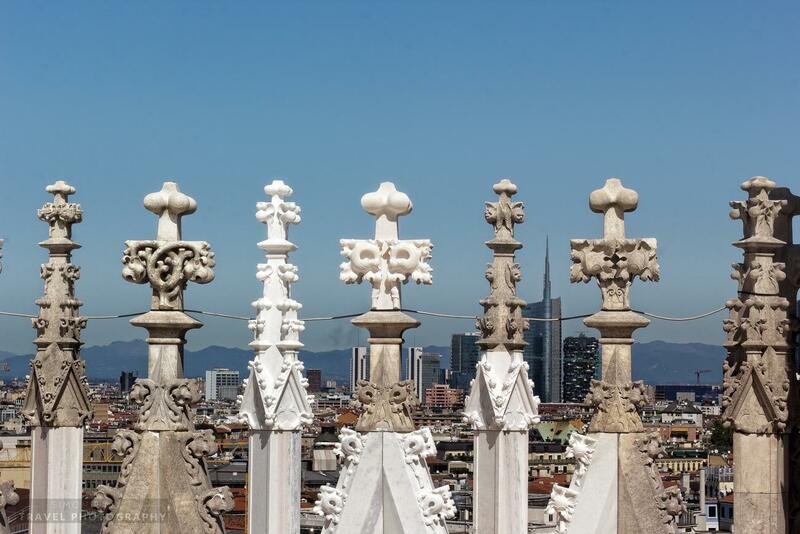 Best time to walk the Duomo rooftop: You can visit all year round, but beware that it can be very hot during the Summer months when it’s better to go early in the morning or in the late afternoon. Milan Cathedral dress code: women must have their shoulders covered (in Summer, the best thing is to have a light scarf for this purpose), as well as their legs down to just above the knee. Men should avoid shorts, while Bermuda shorts are allowed. Price: € 9,00 – € 4,50* (on foot) / €13,00 – € 7,00* (by lift) / * = reduced price for children 6-12 years. 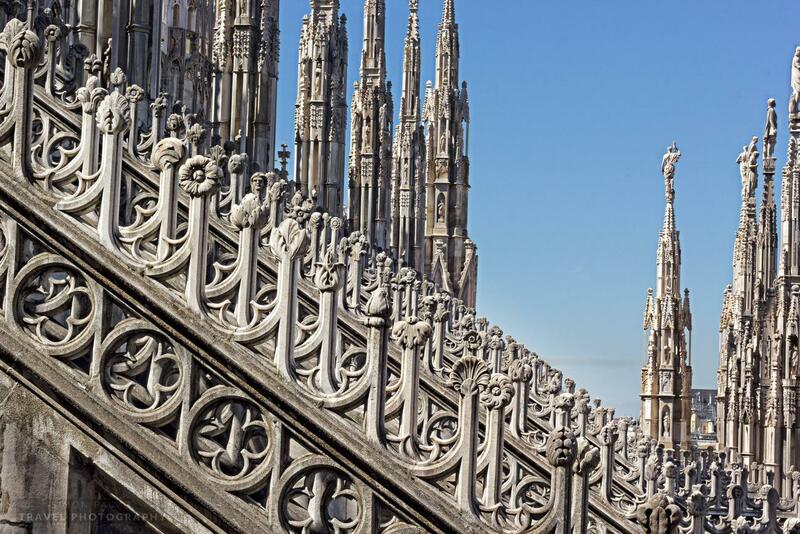 Tip – Advance booking and guided visits: Like any landmark in Italy and Europe, the Duomo rooftop and Cathedral receive a lot of visitors and the long queues can be discouraging (and a waste of time). 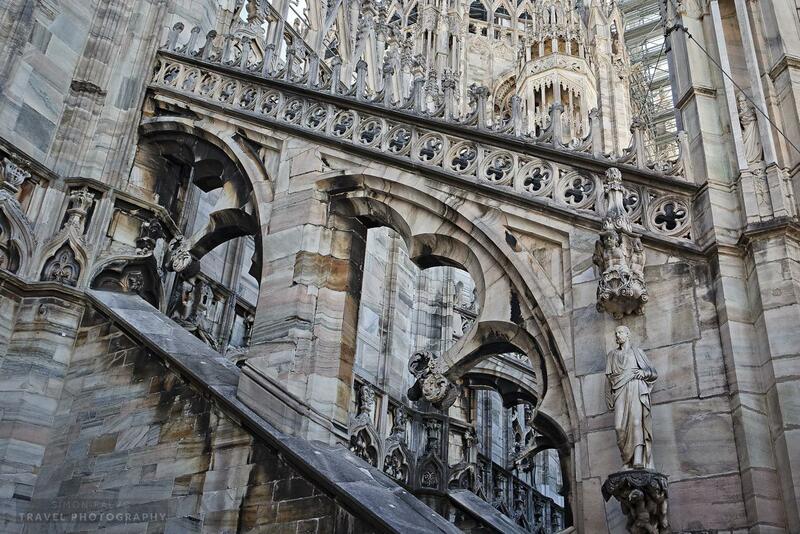 For that reason, I strongly recommend buying your ticket to visit Milan Duomo in advance. With a small surcharge, your visit will be all the most enjoyable and relaxed. There are flights to one of the three Milan airports from all over the world. Find the cheapest rates on CheapOair. With the high-speed train, you can travel from Florence to Milan in less than two hours, and from Rome to Milan in three hours. Check the timetables and prices on Omio. Maison Milano | UNA Esperienze features modern rooms and is just a few steps from Milan Cathedral. The Park Hyatt Milano, at the entrance of Galleria Vittorio Emanuele II and a stone-throw from the Duomo, is one of the best luxury hotels in Milan. The Street Milano Duomo features contemporary and stylish rooms, around the corner from Milan Duomo and in the middle of one of the best shopping areas. 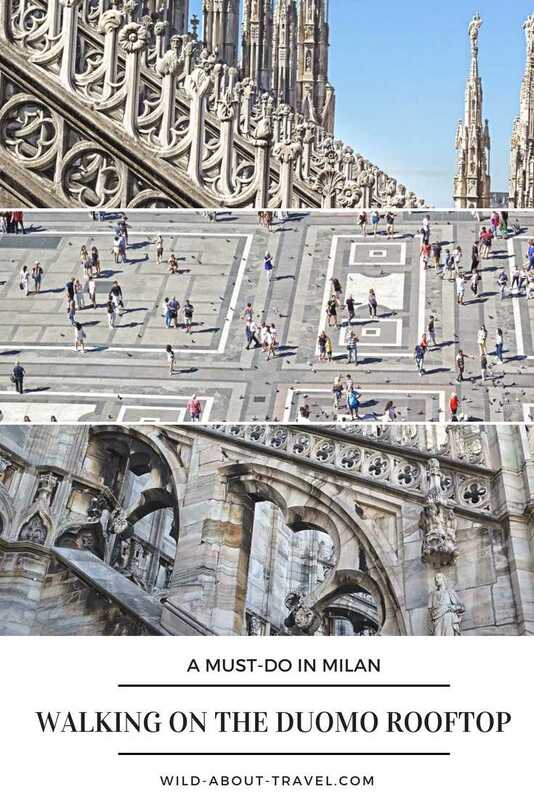 And if you have more time to spend in the fashion capital, have a look at the 33 photos to find more inspiration on what to see in Milan.